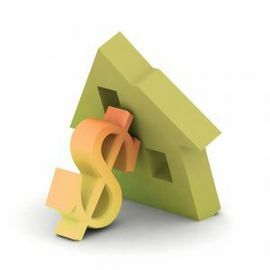 In the depths of the recession, current homeowners and new home buyers are more focused than ever on keeping the cost of home ownership as low as possible. This often means discount diving on insurance coverage. Beyond the tried and true “raise your deductible” advice, there are a number of factors that have a bearing — both directly and indirectly — on getting the lowest cost home insurance. Don’t insure land. 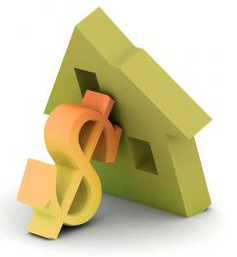 Make certain that the homeowners insurance quote covers the structure only. If you’re in a flood plain or earthquake zone, you’ll need separate policies to cover those contingencies. Homeowners policies should cover the house, the contents, and liability — nothing more. Construction matters. In general, families living in brick homes pay lower premiums because the structure is considered more solid and less likely to be damaged during severe weather events. Efficiency matters. Look at installing new heating and cooling units, or updating the plumbing and electrical work. If existing systems are less than 10 years old, you probably already qualify for a discount of up to 10% depending on the insurer. Security is a plus. Insurance companies like proactive measures. Generally the installation of smoke detectors, a local burglar alarm, and dead bolts will return savings of about 5%. If you move up to an in-house sprinkler system and monitored burglar and fire alarms, you can save as much as 20%. Consider proximity. Let your insurance agent know if there’s a fire hydrant on the corner of your lot or a police station a block away. (Homeowners in communities with only a volunteer fire department generally pay higher insurance rates.) On the other side of the coin, look at crime profiles not just for your neighborhood, but the surrounding area. People on the border of high-crime regions often get slapped with higher premiums that may be offset by increased security precautions for the home. If you smoke, stop. With the high correlation between home fires and smoking, companies have begun to offer discounts to non-smoking households. If you do smoke and won’t give it up, get a monitored fire alarm system. Think about children and liability. If you have children and they will be inviting their friends over, that backyard pool or trampoline actually represents a heightened risk profile, increased potential liability, and a higher premium. It should go without saying that homeowners who have an excellent credit rating will fare better not just with their insurance, but with all their financial dealings. When working with an insurance agent, discuss taking out multiple policies with one company and be aware that loyalty matters. Depending on the company, rates may be decreased in 5-year increments over the life of a policy. Finally, if you are 55 or older, discuss discounts on your coverage. Research shows that older individuals and retired people tend to stay at home more. For insurance purposes this means they represent a poor target for burglars and are going to be more observant about possible fires or plumbing leaks. Discounts for age alone can run as high as 10%. The greatest mistake most homeowners make with their insurance is simply taking out the policy and never thinking about it again. Insurance should be treated like every other home maintenance chore. Never shy away from negotiation with your insurer. Most people are astonished at how easy it is to get premium discounts just by asking. Our guest contributor, Sean, works in the insurance industry and enjoys helping people save time and money while choosing the right insurance for their needs.